Have you ever noticed how your Grandma’s old pearls don’t look as lustrous as they could? They may be in need of a cleaning and restringing. The silk cord stretches over time, allowing the pearls to move back and forth between the knots. Dirt then gets on the silk, becomes noticeable and gets the pearls. To protect and enjoy your pearl necklaces and bracelets, they should be strung every few years, if you wear them occasionally. When pearls are cleaned and restrung, they can look like another strand of pearls! We string all types of bead and pearl necklaces and bracelets. We string multi strands of beads and pearls, graduated pearl strands and beads with designs or patterns. Knots, No Knots or Occasional Knots? Knots are generally placed between each pearl to give beauty, definition and security, although pearls can be strung without knots or even occasional knots. Knotted Recommended for more valuable beads and pearl strands. If your pearls break, you’ll only lose one bead or pearl! Larger pearls usually look better with knots also. Occasional Knots For smaller beads or pearls, or less valuable items, or as a design element. When an occasional knotted strand breaks, you may lose up to several beads or pearls. No Knots Frequently chosen as a design element. Some strands, especially with a variation in beads, look best without knots! Heavy beads or beads with sharp edges cut through silk quickly. For these we recommend a stringing wire. We have many options for silks and wires. Leave it to us! 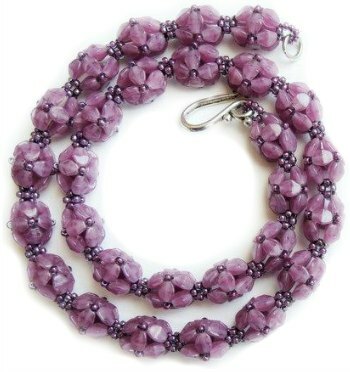 We match the color and weight as close as possible to your beads or pearls. This will give you the best look and longevity of wear. Knotted pearls that are stretched out have room between each pearl. When we restring your pearls, they will be perfectly tight, with the pearl right up against the knot. Therefore, even though you have exactly the same number of pearls, your strand will be shorter. How much? It depends upon the number of pearls and how loose they are. Generally you can estimate that the pearls will shorten between ½ inch and two inches. At Fox Fine Jewelry, we always count your pearls when we take them in for stringing. We photograph your pearls, and you get a copy of the photograph and the description on your receipt. We also insure your pearls while they are at Fox Fine Jewelry. From the basics to intricate multiple strands, Fox Fine Jewelry will restring your beaded bracelets and necklaces! Stringing without knots begins at $40; typical knotted pearl strands are $80 - $100, although some are less and some are more. Contact us about pearl stringing! To receive special updates and offers!